For two decades, Cassie has partnered with entrepreneurial leaders to help shape transformative social impact ventures. Founded in 2010, her firm has served 50 impact clients worldwide. A seasoned entrepreneur, Cassie also led the first social impact practice for global product design firm, Siberia; co-founded the Berkeley Innovation Group (BIG); and was co-creator of the Digging Deep Campaign, engaging online audiences curious about the fair food movement. Cassie has led and facilitated strategy and design sessions with teams from corporate clients like General Electric, Kaiser, and Schwab, to social enterprises like LimeBike, to foundations and nonprofits like Tides and Full Circle Fund. She has conducted numerous trainings for staff, boards, and volunteers, taught innovation at UC Berkeley’s Haas School of Business, and been invited to speak at Foundation Center West on ways nonprofits can advance their mission with technology. 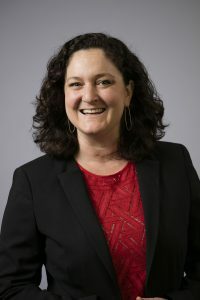 She has been a trainer for the Golden Gate Chapter of the Association of Fundraising Professionals, the Development Executive Roundtable, the Center for Volunteer and Nonprofit Leadership, and New Sector Alliance. Cassie is a graduate of the MBA Haas School of Business at UC Berkeley and Pomona College, and serves on the board of Full Circle Fund.